Entrepreneur’s inspiration lies in a business idea! If you’ve been planning to build a product, I’d suggest you to check these startups first. May be, you can find a new angle to your product and make it more powerful using machine learning & predictive analytics. These startups got featured at Y Combinator Winter 2016. Y Combinator is a startup accelarator which invests ~ $120k in startups twice a year. Successful companies like Reddit, Quora, Airbnb, Dropbox are known to emerge from Y Combinator. The essence of ‘helping businesses’ lies in the heart of these startups. These people are smart at reading trends, harnessing technology to making business easier and faster. If you were taking 2 days to finish a job, some of the startups might help you finish it in hours time. You’d be amazed to see the kind of idea running through peoples’ brain around the world. Some of the startups listed below are simply incredible and looks to have a promising future. You’ll see how people have designed their products using deep learning and artificial intelligence. Note: This is an inspirational post for people who see themselves as data science entrepreneurs in few years from now and aspire to work on a business idea. Many of us, worry about the future of machine learning & artificial intelligence. A popular forum Quora is filled with questions like ‘How far will machine learning reach in 2020?’. If you too have similar question pertaining to future of data science in mind, here you’ll find a good reason to trust. The acceptance of machine learning and predictive analytics has seen an overwhelming surge. Almost every industry (I’m not sure about oil and metals), has invested millions of dollars in implementing data driven business methods. These startups will define the future of data science industry. Such startups will be the main source of increased jobs and business projects. And, these are just the cherry picked ones. There are many more which couldn’t become a part of this list. Hence, be assured about the future of this industry. With this post you’ll learn about upcoming business ideas in machine learning and data science industry. 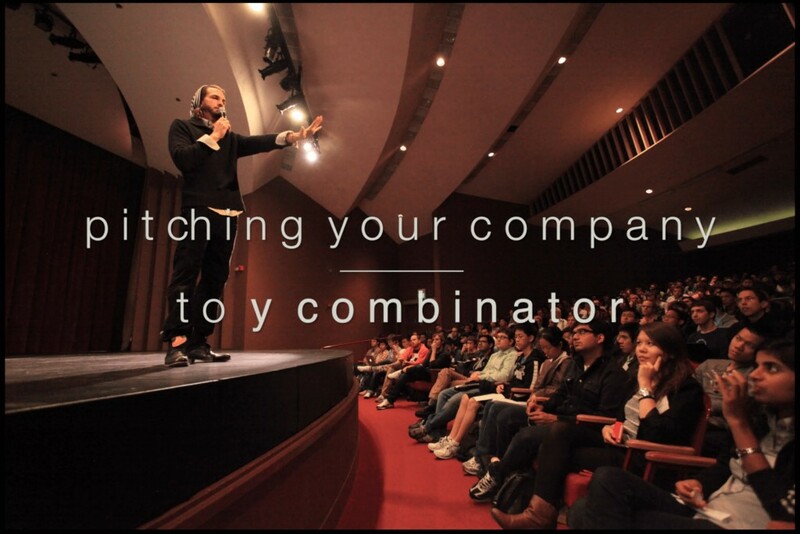 Who knows, you might end up presenting your business idea at Y Combinator next year! Most of us love doing messaging. As a result, apps like Whatsapp, Facebook, Snapchat have gathered millions of users worldwide. Considering the rising popularity of messaging medium, Msg.ai provides a messaging software which uses machine learning & deep learning to intelligently interact with customers. This software allows companies to establish their presence in all popular messaging platforms and accessing every app from this software. Also, this product is capable of performing sentimental analysis, trend analysis and provide detailed reports. This start up has all the reasons as to why shouldn’t a company should not use public cloud servers. As a result, they have introduced a more secure way of sharing data using Private Cloud Servers. Protonet help companies to fight against data security using a project management and collaboration software on secure private cloud servers. The product is built to deliver high performance, faster data access and uploads. It’s multitude of features include task management, file sharing, business communication, mobile collaboration and much more. The methods of marketing have become much more intelligent. Companies no longer spend recklessly but have understood the importance of marketing analytics. Interstate is a free marketing analytics and attribution platform. It applies predictive modeling to help companies make better budget allocation, target the right set of customers and help save money. In addition, it also provides dynamic marketing expenditure data, allows cross device tracking and integration with world’s popular apps. Generating lead data is time consuming. Majority of the time gets wasted in data wrangling. But, with AI powered solutions Elucify aims to speed up and strength the complete sales conversion process. Elucify helps companies to reap the most benefits out of lead data using artificial intelligence and machine learning. Their product allows companies to identify & clean old leads, extracts the targeted leads for fast conversion, dynamically search and update lead data and do all this in couple of hours. After all, speed matters! GitPrime get its name from the popular community GitHub. GitPrime aims to make software engineering less painful and more scale. It makes use of statistical analysis and identify patterns to let enginners improve the method of building software. It is known for providing personalized recommendations. Also, it allows the software engineering team to communicate, share, tracks team progress with data and much more. It endeavours to make software engineers more productive by providing data based timely feedback and analyzing weekly performance. Nova aims to enhance sales team effectiveness using a data science approach. This is accomplished using a messaging platform. This platform enables a representative to send customized emails according to the best suited reply. This software uses text mining, analyzes the sentiments and decides for a best suited email for a particular personnel. Using this software, company claims to have improve deliverability (less spam), 3X speed and increases shoots up representative response rate. People nowadays are more health-conscious than they used to be. They understand that good health is above wealth, and hence try to adopt every best possible thing or habit available. This startup provides machine washable clothes which is embedded with sensors to capture a person’s complete workout motion. In simple words, this workout dress is enabled to track body movements and generate data. Once the data is captured, it delivers specific body insights. Who wondered even the clothes we wear will some day track data ? Can boxers use analytics ? Even if they couldn’t, Hysko has made this possible with a large impact. This startup has come up with a product which tracks every move in terms of speed, intensity, count and delivers analytical insights. I find it similar to fitbit app but for boxers. It provides real time monitoring, reviews performance and helps a player to overcome hurdles quickly. Needless to say, it is fitted with sensors which helps to collect data and convert them to numbers. Growing volumes and varieties of available data is increasing the demand of Machine learning. Technology is growing fast and among them Skymind is an emerging but powerful player. Skymind aims to provide advanced analytical solution to businesses using scalable deep learning. Their software is well equipped with Hadoop, Spark, Neural nets and other important integrals. Looking at their current setup, their focus lies in Finance & marketing industry. Ever thought of asking a stranger to wake you up in the morning ? 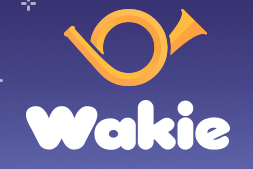 Wakie app has made this possible. Now, you can talk to “friendly” strangers about any topic, advice, suggestions without having exchanged your contact details. At a deeper level, they use machine learning to analyze the content with knowledge and skills of users. Finally, selects the best user to answer a question. Also, they use voice recognition technique to evaluate the quality of answers provided. Putting data together to draw a conclusion is not an easy task. Zenysis Technologies has build a data integration software which will compile and analyse all the data at one place. A data analysis software one can say! With this, they plan to help government and developing countries to improve their administration using their huge sets of generated data. They provide actionable insights which will help countries to make informed decision making and remove any ambiguity from decision making process. Not sure if you are getting the best return on investments? Are your marketing strategies giving you the required output? Startups like Pave IQ have come to your rescue. Pave IQ is a marketing analytics startup which help companies to make their google analytics insights more actionable. It analyses a company’s goals and uses machine intelligence to extract the results of marketing through all channels. It also provides customized data driven reports on how to increase ROI. How about extracting insights, sentiments from an audio ? Yes, this is now possible. DeepGram has created an AI enabled tool which builds AI models to automatically analyze and classify the audio/ video streams. It is known to locate the required keyword without needing to stop/pause the audio repeatedly. Also, it uses deep learning algorithms to extract speech to text insights relieving humans of manual process. It is highly useful in call centers, search from audio data sets and media centers. The startups listed above have a unique value to deliver. Even if the product exists, the industry size is huge that these people can bring a positive change to the society. Out of 120 startups, 13 startups are found to have built product empowered with machine learning and artificial intelligence. This suggests, people around the world are not only concerned about human efficiency but the pace of completing work! In this post, I’ve listed the 13 machine learning & data science startups from Y Combinator Winter 2016 batch. You should check these out, mainly because of the idea. This should help you understand about the diverse applications and usage of these techniques. Don’t think machine learning or analytics is limited to a particular industry. Instead, people have already started finding ways of using it across all industries. Did you like reading this article ? Have you been a part of any Y Combinator startup ? Do share your experience /suggestions in the comments section below. Enflux looks to be the coolest one. Far different and Unique. Thanks for the article ! Glad to know. Welcome ! Good list of startups with ML and AI technologies and Business. Are you aware of any dedicated to Sciences or Healthcare Industry?